It seems everyone is more conscious of the environment these days, and why shouldn’t we be? We want our children, and our children’s children to be able to enjoy this beautiful planet like we do. The vacation is no exception of this phenomenon either, many families are looking for eco-friendly and ‘green’ family vacation ideas, eco-tourism, eco-adventure, or whatever you want to call it, it’s still being aware of our planet, and our impact on it. Read on to see some fabulous eco-friendly and green family vacation ideas in the Florida Keys for an eco-adventure your family won’t forget! Thanks Rhona Crone from KidsCanTravel.com for this most excellent bit of advice! 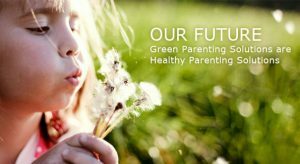 Rhonda wrote an amazing piece about teaching your kids about green travel, eco-tourism, eco-adventure, responsible travel or sustainable tourism, essentially meaning one thing: reducing personal impact on the environment. So, how does a family travel green? Be as conscious when you travel as you are at home – re-use, recycle, turn off lights and limit water usage. Practice what you preach! How do you teach kids about green travel? Model their behavior but don’t beat the subject to a pulp. And always remember, good habits don’t stay home. Easy Adventures offers private snorkeling charters for families and groups up to 6. Snorkeling sites are shallow, sometimes only 2 feet, ideal for beginners. Cheeca Rocks is a nearshore patch reef with 7 foot tall coral formations in 10-12 foot depth, the tops of the corals in many places only 3 foot deep. Alligator Lighthouse is an offshore bank-barrier reef with 3 foot depth in the shallowest portion. More advanced snorkelers can try their luck at catching a lobster. Lessons and equipment provided, free. For more information, click on Easy Adventures – Adventure tours for the kids and family, specialty tours, Indian key ruins, Everglades, ocean reefs, photography, wildlife identification, learn ecology and science while in search of dolphin, reddish egrets, bald eagles, roseate spoonbills and sea turtles. half day or full day of exploring the waters of the Florida Keys, remote shallow bays and narrow creeks where tropical wildlife lives. Snorkel or try “Hooka Diving” with Captain Donna Browning, which requires no scuba certification, but enables youngsters to duck under the surface and see the reef and fish really close up. Hooka diving is a lot less expensive than scuba diving and is a great way for kids and beginners to experience the thrill of diving. 305-289-9933 or cell phone 305-393-9919, leaves from Rainbow Bend on Grassy Key. Holiday Inn Marina at Key Largo – High speed catamaran travels to shallow reefs of John Pennycamp for snorkeling three trips a day. 1-800-935-3483 or 305-451-5533. About $25 for adults and $19 for children. Snorkel gear $5 extra. A non- diving parent may go along for the ride for $15. —-For even more eco-friendly and ‘green’ family vacation ideas from Kids in the Keys see the rest of their article here. AND….while we’re on the subject of a green family vacation, and teaching kids how to be eco-friendly, here is a wonderful snipped of an important bit of information about respecting ocean, and “minding manners” in the home of the coral reefs, also from the KidsCanTravel.com. When we travel, whether it’s a trip to Grandma’s or a family vacation in a foreign country, we have been taught to ‘mind our manners.’ We show respect for grandma by following her house rules. We show regard for a foreign culture by respecting their customs. A trip to the ocean to visit our sea friends also calls for our best behavior. So, how do we show our respect for this delicate form of sea life on a snorkeling trip? Read the rest of her article here to find out how to be a good eco-friendly, and green kid (and parent) on your ‘green family vacation’ in the Florida Keys or near any coral reef. Find the best deals on family resorts through BestKidFriendlyTravel.com! i believe the top cruise trips on earth are those in which mix magnificent areas, incredible itineraries, stunning ships along with well-informed staff.